I got home tonight and there was a big box on the steps from Orvis. 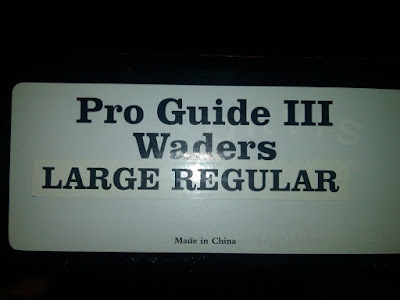 My replacement pair of waders have come back 4 weeks and 1 day since return at the local shop. I would like to thank Donna Jarman in their repair department for her excellent customer service and for making it happen. Evidently there may have been a snafu with the return from the local store to home office repair dept which extended the delay but Donna got it done. My first impression is the bootie is a size 9-11 and I take a wide 11 to 11 1/2 at times. I threw them on tonight with a pair of wool socks over sweat socks and they appear to be a snugger fit than the previous pair in the neoprene bootie. The bootie might be a different design than the last years version. Either way thank you Orvis for coming through. Send them back now, and get larger feet installed? Or wait till the really cold weather, get frozen feet, have your maybe great day ruined, and then send them back. We both know tight footwear means cold feet. 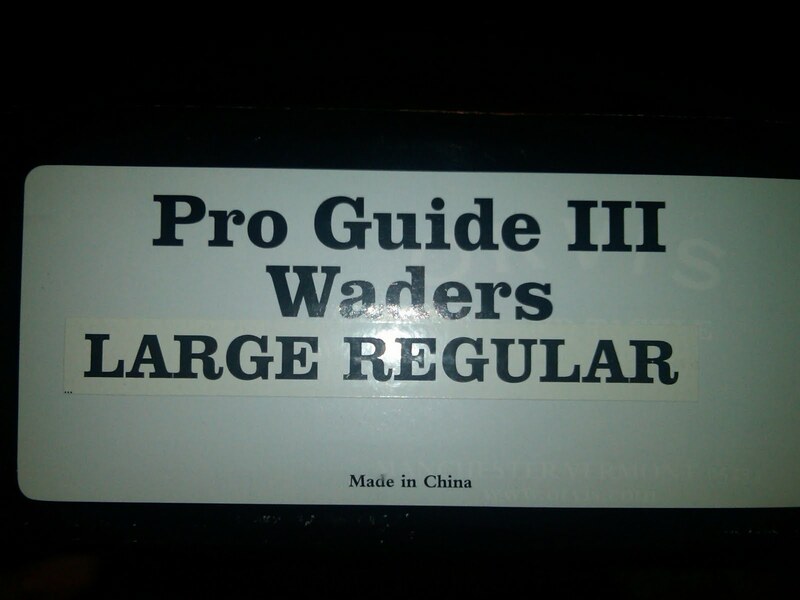 Glad to see you got your waders back! Anyway don't ever ...EVER buy these boots...unless you want to buy mine used? In which case they are awesome and I would let them go to you for a case of tylenol. The tan ones wih the screws in the bottom? I have those. If the screws are all in properly they are not bad. if you lose a few screws it get slippery. check the blog sept. 2009 for pic.